I believe that persistence is the most important trait you should have if you want to get published. To get my first piece published in The New York Times, I pitched it to at least five different editors until I found one who was interested in the piece. Before pitching that piece to The New York Times, I had pitched it to an editor at The Village Voice, who rejected it. If I hadn’t pitched it to The New York Times, the piece would still be sitting in a file on my computer, unpublished. To get published, you must query constantly. Send out queries every day if you can and be persistent because persistence pays. Yes, persistence pays – but not enough to cover the rent. In addition to being persistent, to get published, you must know how to effectively query. I’m going to tell you how to increase your chances of getting an article published. These are the steps that I followed to get articles (mine and my client’) in publications ranging from American Banker to Wine Enthusiast. 1. Position Yourself as an Authority. Just as an author should have a platform, a writer should also have a platform. 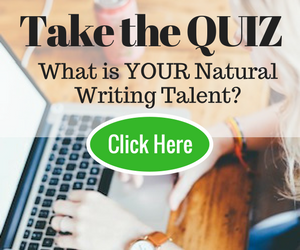 What makes you qualified to write the article? Write a brief, two to three sentence bio sketch that establishes your credibility and then put this in the first paragraph of your query letter. 2. Have a Strategy. To get bylines in better publications, you must stick and move; hit one publication and then move on to another one. Your aim is to build momentum. What do I mean? Start with smaller publications and then work your way up. Submit a few pieces to your community paper or magazine. Then use those clips to get into a regional publication. After that, use those clips to get into a statewide publication. My bylines in a county-wide newspaper enabled me to write for the #2 paper in my state. This enabled me to get a piece published in The Village Voice, which then enabled me to get a byline in The New York Times. Get the idea? 3. Be Choosy. You must strategically choose where you submit your work. The truth is that some bylines are more prestigious than others. I occasionally blog for The New York Times The Local. Another writer who wanted to blog asked me if she should submit pieces to The Local or to another blog in my community. I told her that if she’s trying to get build her career as a writer, then she should submit pieces to The Local because having a byline in The New York Times will give her more credibility as a writer. I know that some writers don’t feel comfortable hearing this, but it’s the truth; there are some publications that editors-in-chief and managing editors will respect more than others. And if you are trying to build your career as a writer, you can’t waste too much time writing for publications that won’t help you achieve your writing goals. Do you understand? 4. Research. Research. Research. The key to successfully getting published is to do your research. Once you have your article or an idea for an article and you know which publication you want to target, study what’s been published in that publication in the past two years. If you find nothing similar to your article, great! Mention this in your query letter. If you come across an article that covers your topic, tell how yours will be different. 5. Give the Benefits. In your query, tell why the publication’s readers will find your piece informative or interesting. This is crucial. My very first piece that was published in a national magazine was, “Confessions of a Software Salesman.” It was published in CIO (Chief Information Officer), a difficult magazine to get published in. When I pitched the article to the managing editor, I told her that I was a former software insider and that I could give her readers tips that would help them save hundreds of thousands of dollars. She bought my article. You, too, in your query, must tell how readers will benefit from your article. 6. Pick up the Phone. Unless the submission guidelines say, “absolutely no phone calls,” you should consider calling the editor. I loved doing telesales and I’m extremely effective over the phone. If you, too, know how to effectively pitch over the phone, then by all means get on the phone and call that editor! Create a brief pitch that gets the editor’s attention. Here’s mine: “My name is Wayne Pollard and my work’s been published in The New York Times, The Village Voice, and Writer’s Digest. I’m calling you because I’d like to submit an article on… I’ve researched your archive and you haven’t published anything like it in the past two years. In the few seconds that it takes to say this, I establish that I’m an experienced writer who should be listened to. I also establish that I’ve done my research. Go back to your bio and create a five second pitch that will get an editor’s attention. The key thing is, when you deliver this over the phone, DO NOT PAUSE. Once you’ve gotten the pitch out, wait for the editor’s response. And if the person says that now’s not a good time, just apologize and say that you’ll send an email. Then get off the phone! You’re probably thinking, edit my piece?! Yes – if you want to get published, you must be willing to edit your piece. Do you want to get published or do you want to hold on to your precious piece? Bo’s Café Life is my look at the writing life through the eyes of Bo, an aspiring novelist who spends his time in a café writing and talking to other writers who are also on the quest to get a book deal. It is an honest look at the writing life. Writers find the strip funny, however, Bo’s Café Life is primarily about determination; Bo is determined to get a book deal. That’s what the strip is really about, pushing on with a dream despite the rejection and the tremendous odds you face. Have you heard of writers who knew from the time that they first held a #2 pencil that they wanted to be writers? I’m not one of them. I didn’t even major in journalism. I only decided to start writing about ten years ago. Before that, I was in public relations and sales, which is how I learned to be persistent and how to effectively query. By using my seven steps to querying success and by being persistent, you will get more of your articles published. And don’t forget to have fun and enjoy the process. This is another key message in Bo’s Café Life. See the lighter side of trying to get published and enjoy the ride. Wayne E. Pollard is the creator of Bo's Café Life, a comic strip about an aspiring novelist who spends his time writing in a café and talking to other writers. In your post you cover several things that I’ve written about in my book. Among other things, it’s really important to be able to take criticism from an editor and to not be worried about that person editing your work. Many times my editors have really improved my copy. Thanks, Jenny! Many publications need content. Just keep pitching! Great, great tips. I’ve pitched a few guest posts so far, but haven’t tried pitching to a news org. I definitely want to give it a shot now. You are right, Alex. Never give up. Thank you and I appreciate your comment. The lesson here: If you believe in your work, then never give up. Thanks for keeping the faith Wayne – you are an inspiration. @Eric C: That some bylines are worth more than others is something that editors may not want to admit, but it definitely is true. Thanks! Some great pieces of advice. Particularly that some bylines are worth more than others, and to menton that you’re willing to edit. One thing’s certain: You know what you’re talking about. I enjoyed this presentation.